Good news for those males or couples who do not like using condoms and other birth control barriers. Parsemus Foundation is in the process of developing a male injectable birth control. This breakthrough in male contraception is expected to be released in the market in 2017. Vasalgel, as the name implies, is a polymer hydrogel that will serve as an injectable birth control for men. The newly developed drug will mainly block the transmission of sperm into the vas deferens. Currently, the only other method of contraception that prevents sperm transmission into the vas deferens is vasectomy. However, this is a permanent method of birth control. Researchers looked for another alternative or method that exhibits similar effects as vasectomy but is actually reversible. The result? Vasalgel. The idea behind Vasalgel is to develop a male birth control similar to no scalpel vasectomy (NSV) which is reversible. The drug was patterned from a previous drug, RISUG, which is already in the Indian market for around 15 years. Vasalgel, however, is developed specifically for the US market and is created to conform with FDA standards and international food and drug safety codes. The product is in its sixth month of testing as of this writing. Vasalgel was tested in baboons and so far, results have been successful. However, it has not been tested yet in humans. Clinical trials in humans will start on 2015 or 2016. Another problem is the funding. The total cost of the project is $27,000. However, as of May 2014, Parsemus announced on their website that anonymous donations have been pouring out. One donor even contributed as much as $22,300 for the project. The first clinical trial on baboons was thought to be successful because it went out fine for six months, until several of them manifested a normal sperm count. For this reason, a second clinical trial was carried out. It started around the last week of August and five male baboons received an initial dose of Vasalgel. There will be another three males who will receive the drug for trial purposes. The trials are expected to continue until the end of the 2014. The concept of male injectable Vasalgel is eliciting mixed reactions from the public. The majority of the reactions, though involves trust issues. Some clinicians and a number of women are skeptical if men would take it . Some men are willing to try it but are too afraid that the drug would not work as it should. 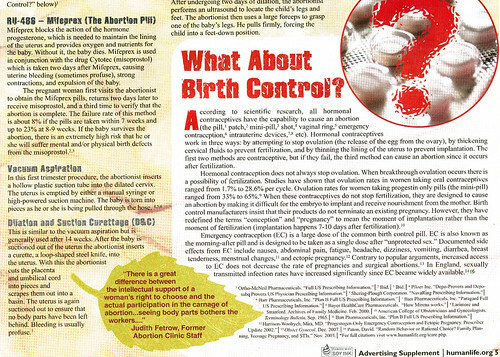 Others women simply do not trust birth control to their partners. They would rather be responsible of taking contraceptives for fear that something would go wrong along the way. The success of the drug is still too early to tell since it is still in the early stages of clinical trials. One thing is for sure though. No pharmaceutical company or business would allow their product to be released in the market without testing its efficacy multiple times.